Misc » Wrecks of vehicles in sunken RoRo ferries. Wrecks of vehicles in sunken RoRo ferries. 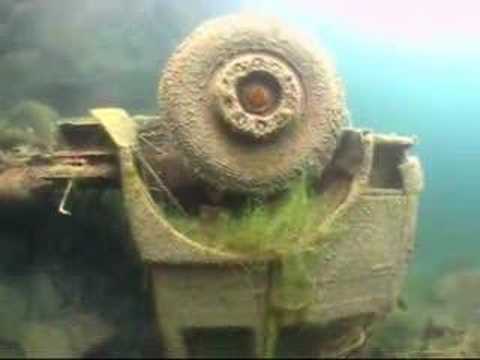 A barely three year old Toyota Corolla Wagon on the Salem Express , sunk in 1991. Somewhere I saw pics with the still leashed trucks on a (Greek?) ferry, sunk around 1980. Still in good shape! And a Kangoo on the right! Has someone got photos of the car deck from the Estonia? I can't find any: I know the Express Samina by the way, I used to be a shipwreck expert for years. 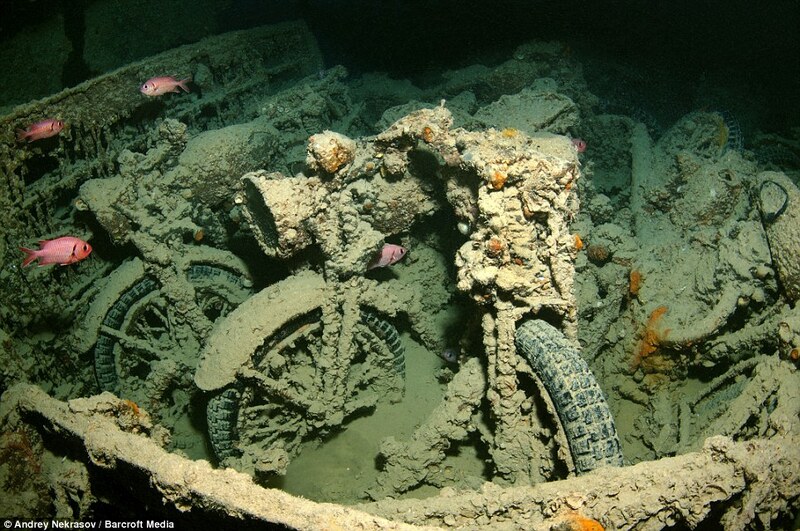 More vehicles on the Salem Express include a bicycle, an Enduro motorcycle and a toy car that, after 23 years of Red Sea currents has survived extremely well. Cool pictures. The reason why there isn't any pictures from Estonia might be because there is a dive prohibition.